Safari Ltd. - AAI | Assael Associates, Inc.
80 million years ago a life death struggle played out on the vast plains of the Gobi Dessert of Mongolia. 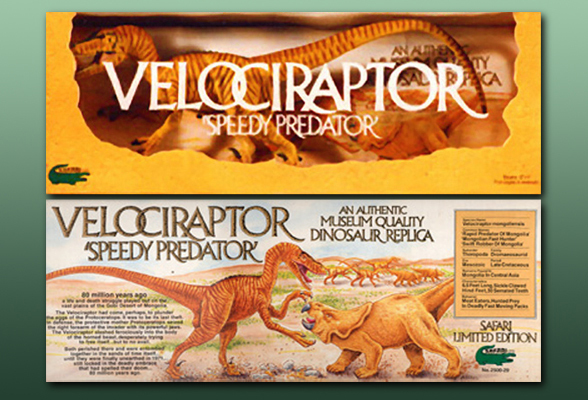 The Velociraptor had come, perhaps, to plunder the eggs of the Protoceratops. desperately trying to free itself…but to no avail. that had spelled their doom… 80 million years ago.